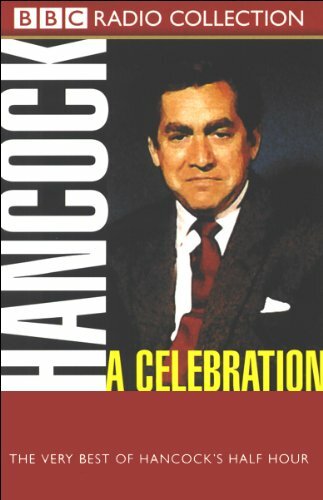 Ray Galton and Alan Simpson present, with personal recollections, a comic feast of Hancock's Half Hour. Yes, it's the very best of the lad himself, Anthony Aloysius St John Hancock the Third, radio immortal, late of 23, Railway Cuttings, East Cheam. This special compilation includes the first radio show, The First Night Party, and Hancock's last BBC television show, The Succession: Son and Heir, as well as the finest and funniest moments from programmes such as The Ladies Man, The Wild Man of the Woods, Sunday Afternoon at Home, The Emigrant, The Bowmans, and, of course, The Blood Donor. Ray Galton and Alan Simpson's marvellous scripts provided the perfect platform for one of our greatest comedians. With his impeccable timing and brilliantly subtle shifts in intonation, Tony Hancock could create sound pictures that bore the unmistakable hallmark of a genius. Enjoy that Genius again in this celebration of the very best of Hancock's Half Hour.